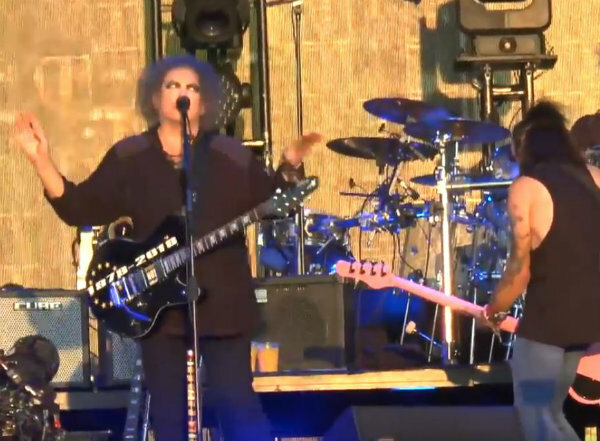 Following this weekend’s 40th anniversary show by The Cure in London’s Hyde Park, we posted audio and some video of Robert Smith’s rapturously received set. But now you can watch the full 2-hour-15-minute concert in full, thanks to this video posted by Sim Production. Started listening to them in 1979, just after they toured my home town of Winnipeg, Manitoba,Canada. They played a dive in the red light district called Wellington’s. Followed them ever since. They never returned. Great band. Loved their evolution. As the English would say: Good show. I was there for Meltdown and Hyde Park! Words won’t do justice, but I’ll just say FANTASTIC!! I LOVE THE CURE!! Was really expecting at least one surprise in the set list considering how this was promoted. They’re always a great show regardless. Interesting Tidbit…it may be a stretch but, not likely….I watched this show twice…..after about a week you tube took it down and said the copyright was held by Keith Uddin who has produced several Cure releases….so this is either going to be a live album or video….Or both….love the tree on stage…that might be the one unexpected thing. I’m excited just don’t know about what, yet….lol!!! Indeed, Tim Pope filmed it. I was there. I’m guessing it will be released.